Bring a stylish flair to your wardrobe this season with Fendi’s latest footwear collection. By combining comfort with fashionable elegance, Karl Lagerfeld has presented us with yet another amazing collection. From trendy slip-on sneakers to FF-logo and Bag Bugs embellished lace-up sneakers, Fendi has done it again. 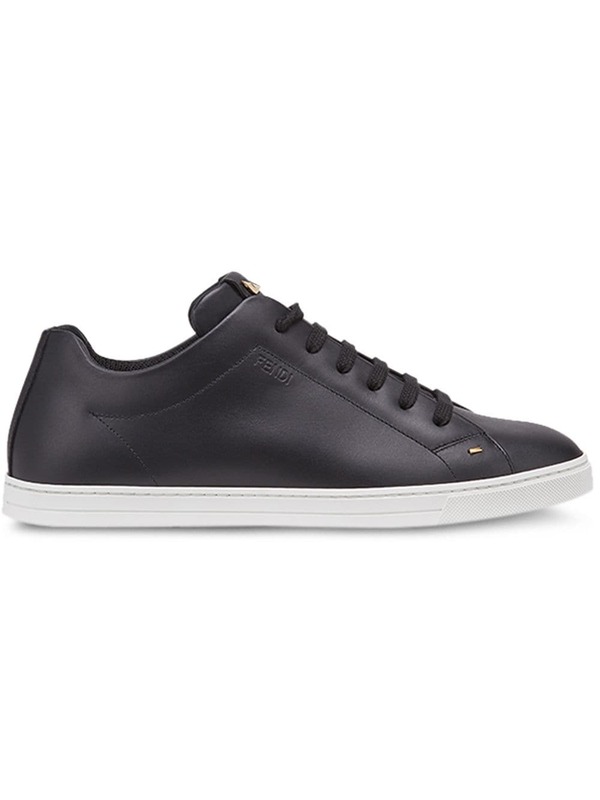 Presented in classic black, these Bag Bugs low-top sneakers from Fendi have been crafted from calf leather and lamb skin and feature an engraved logo to the rear, a logo patch at the tongue with gold-tone appliqués to recreate the Bag Bugs’ eyes, a lace-up front fastening and a round toe.